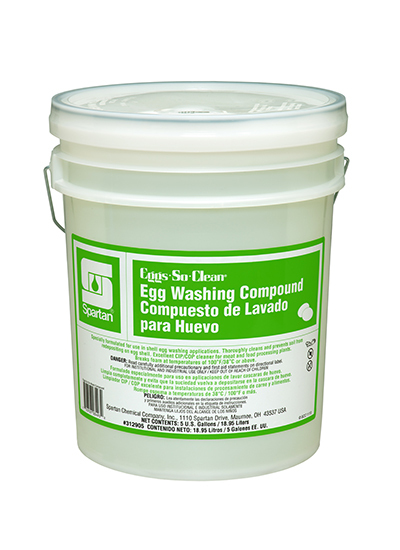 A uniquely formulated washing compound specifically designed for use in shell egg washing applications. Non-chlorinated, Eggs-So-Clean Egg Washing Compound, is a combination of several surfactants that aid in cleaning and preventing soil from redepositing on the eggshell. Provides efficient egg washing by quickly removing chicken feces, blood, dirt, mud, feathers, insects and other soil from the eggshell.